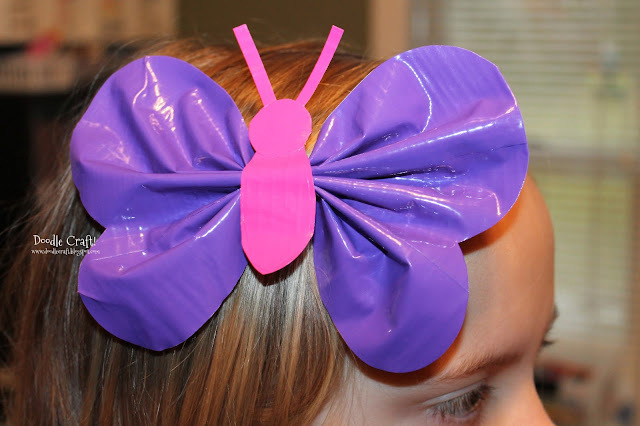 Doodlecraft: Butterfly Duct Tape Hairbow! 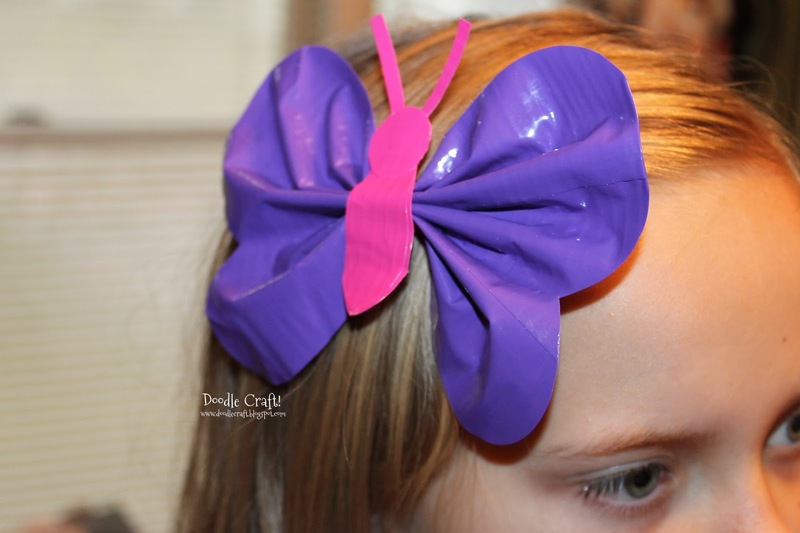 Another wonderful Duct Tape Hair bow! They are easy to make and super fun! Tape 3 strips together, 3 strips right over the top too...to make a smooth duct tape fabric. Then cut the edges with a little scallop. 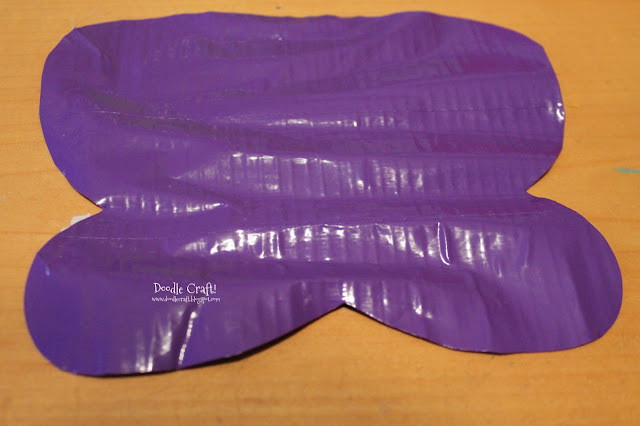 over itself and use non-stick scissors to cut it out. 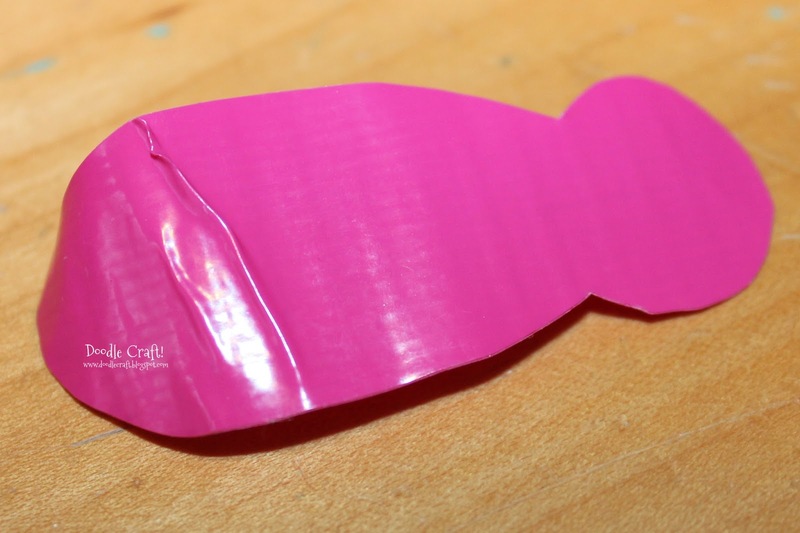 Wrap a piece of duct tape around the gathered wings and tape on the body. 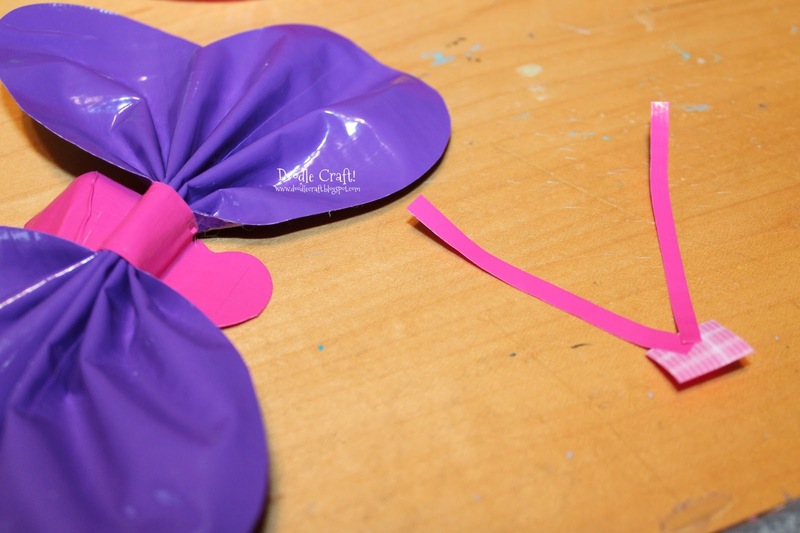 Add some duct tape antennae too! little spring time hair clip!